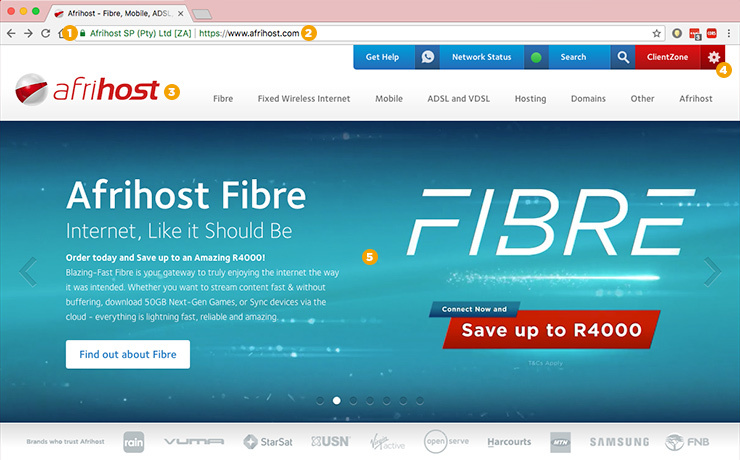 For Afrihost, always make sure that your browser displays one of the following URL’s (web page addresses). And make sure that you see the secure symbol next to the web page address to be sure that this is a legitimate Afrihost web page. 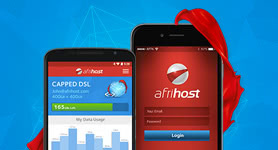 (5) Afrihost's unique design and voice. Look for colours, style of language, familiar design elements, good grammar and spelling. 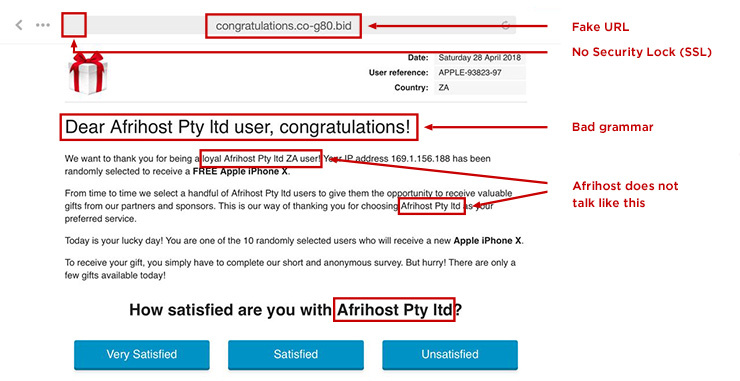 Phishing scammers will use designs that look very similar to familiar Afrihost pages. 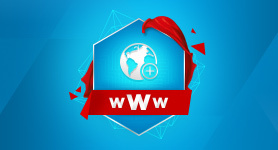 Make sure that you see the secure symbol next to the web page address to be sure that this is a legitimate Afrihost web page. 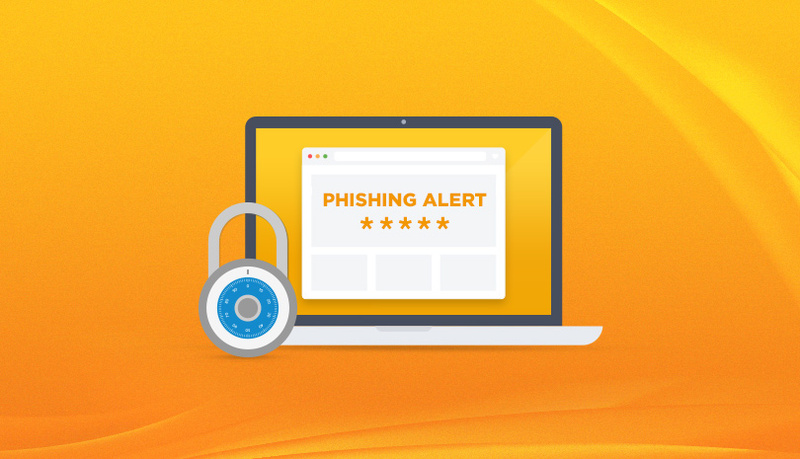 Scammers may vary their approach and designs, but here is an example of what to look out for. 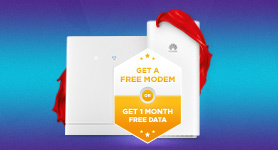 This is NOT an Afrihost endorsed message or website. DO NOT click on any of the links, or in any way engage with this website. The site is intended to steal payment and personal information from you! 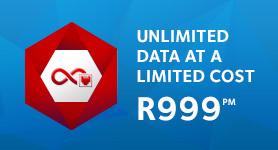 Please rest assured that the criminals have not obtained your information from Afrihost. 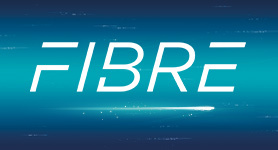 Unfortunately, our IP address range is public information, and allows criminals to target “advertisements” to any user. We pro-actively seek out these websites and have them taken down as quickly as possible with cybercrime law enforcement. 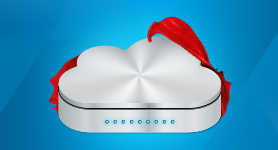 However, criminals will often use multiple sites and identities to slip through. Remember that they cannot harm you in ANY WAY, as long as you never engage or interact with these websites. If you suspect you have been targeted or have unknowingly clicked on links on a page similar to this - contact your bank IMMEDIATELY for advice. 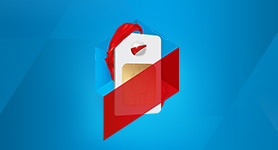 Afrihost will alert you if your ClientZone details have changed. Make sure you act immediately if you receive such an alert without having requested changes. For more important security information and tips, please visit our Help Centre or Afrihost Answers.